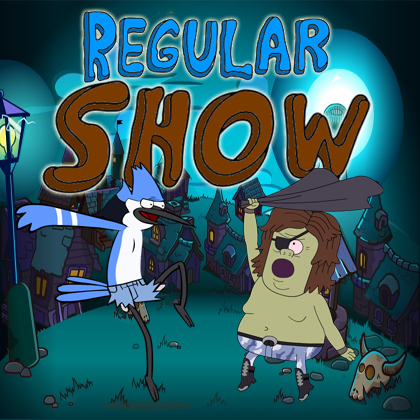 Description Regular Show Night is a great platform game. In the dark Halloween night Mordecai and Pops Maellard go out to play some games. You need to help Mordecai and Pops Maellard to collect coins. But Mitch dont like that and do everything to stop them . Use arrows keys to move Mordecai and space to jump. Your target is to collect small coins and with big coins you can hit Mitch. Good luck!